EPPJ Wolfpack girls basketball sub-district pairings. 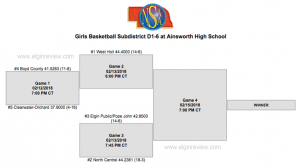 The NSAA released the pairings and brackets for next week’s girls basketball sub-districts. The EPPJ Wolfpack girls go in as the #3 seed with a 14-6 record. 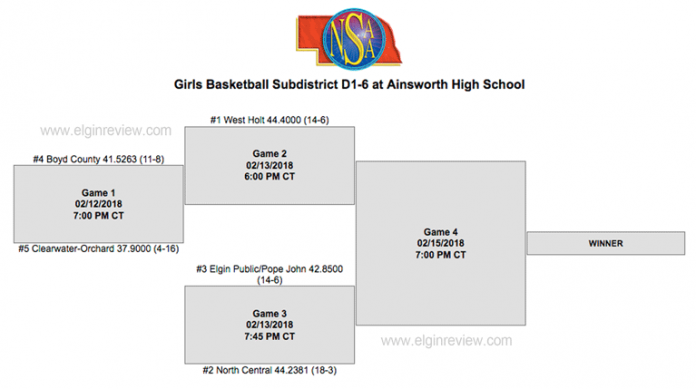 They face #2 seed North Central (18-3) next Tuesday night in Ainsworth. Good luck to the girls!! !